Skogen play a mix of black metal and folk, producing an atmospheric and charismatic take on the style. The above description briefly characterises this album well, but only to a point. 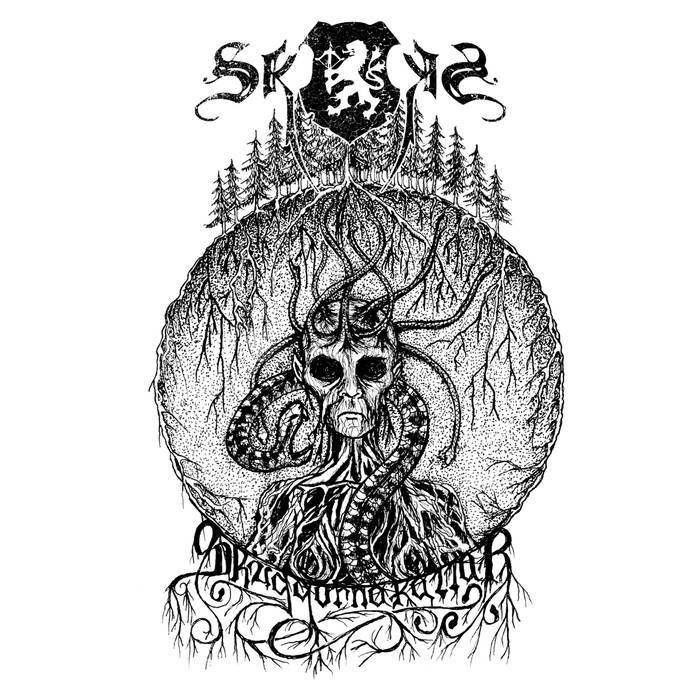 There’s actually a variety of styles that appear on Skuggorna Kallar, and the band make use of keyboard highlights, melodic enhancements, folk textures, and blackened atmospheres as they create their art. This is a progressive take on black metal, aided and abetted by folk influences and delivered with both style and grace. As well as the traditionally screamed vocals that you probably expect, we are also treated to some deep growls and, at the opposite end of the spectrum, some very well-performed clean singing. The latter can probably be said to be the highlight of the release, vocally at least. The music is well-written and the fact that the band feel confident about what they are doing is obvious. They approach the material with a determined, well-developed mentality and a clear vision for the type of music that they want to play. This translates into music that has a lot of depth and nuance to it, coming across as a mature and highly engaging form of black/folk metal. I like that this album retains the core of what it means to be black metal, while also expanding on this to create a very textured and rich collection of songs. The structuring and composition of this music is ambitious and wide in scope, but the band have the talent to pull it off. Full of affecting material and wonderfully evocative music, this is an album of different moods and feelings, all brought together under a progressive blackened folk aegis. Skuggorna Kallar truly is an accomplished and highly rewarding listen. If I’d have encountered this album earlier, it definitely would have made my best of May 2018 overview. As it is, if you’re a fan of bands such as Vintersorg, Borknagar, Kampfar, Bathory, and Enslaved, then this album should definitely be one you spend some time with. This entry was posted in Black metal and tagged Atmospheric Black Metal, Bathory, Black metal, Borknagar, Enslaved, Folk Metal, Kampfar, Metal, Progressive Black Metal, Skogen, Vintersorg. Bookmark the permalink.